Photographer, Tony R. from Rome, New York, took these great photos as a guest-sponsor this week while Healing Waters Lodge hosts a group from Project Healing Waters Fly Fishing, LLC. Similar names however, we are two very different and distinct entities. 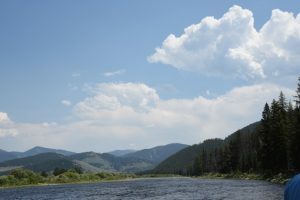 Project Healing Waters Fly Fishing LLC is a non-profit founded by Retire Navy Captain Ed Nicholson and Healing Waters Lodge is a fly fishing destination in Montana, created by Greg and Janet Lilly back in the 90’s, and currently owned and operated by Mike and Laura Geary. 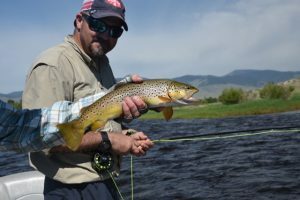 Our guest, Mike, from Project Healing Waters Fly Fishing in California. 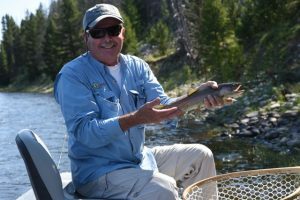 Ray, our guest from Project Healing Waters Fly Fishing in Texas, shown here with a great catch and a smile.